This kit is for all Dog lovers! 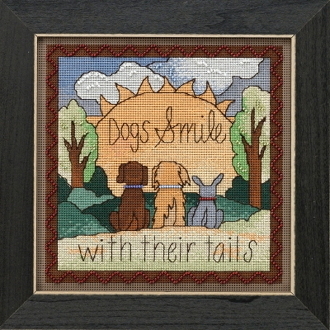 Featuring a trio of doggies peering at the sun with the words "Dogs Smile with their tails". Design size: 7" x 7" (17.8cm x 17.8cm).